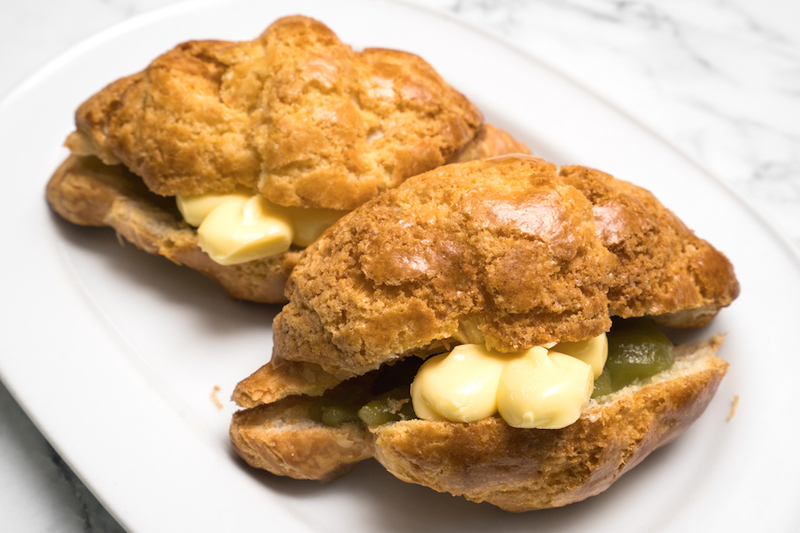 Imagine the combination of both the classic French Croissant and Hong Kong Bo Luo buns. 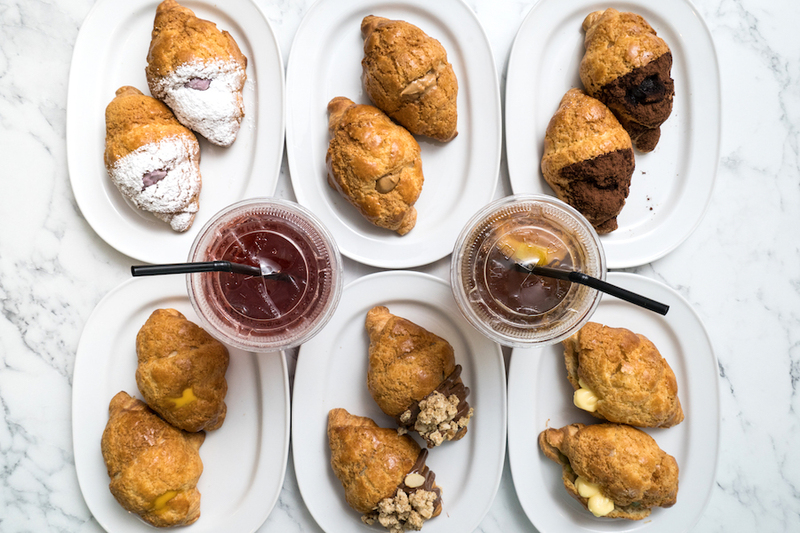 Meet this East-meets-West hybrid – the Bo Luo Croissant. 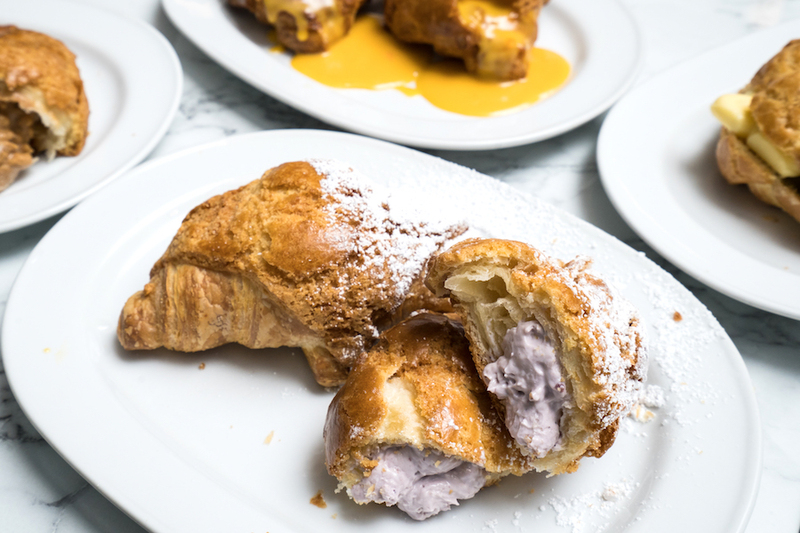 Got my hands on the Délifrance Bo Luo Croissant, and am excited to share about this new pastry item. 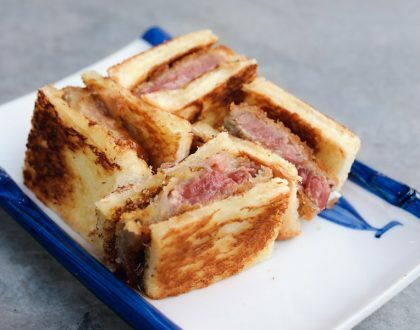 This is a combination of different textures – sweet, golden, crumbly Bo Luo crust on the outside; crispy and airy croissant texture on the inside; and also filled with premium ingredients in the centre of the pastry. 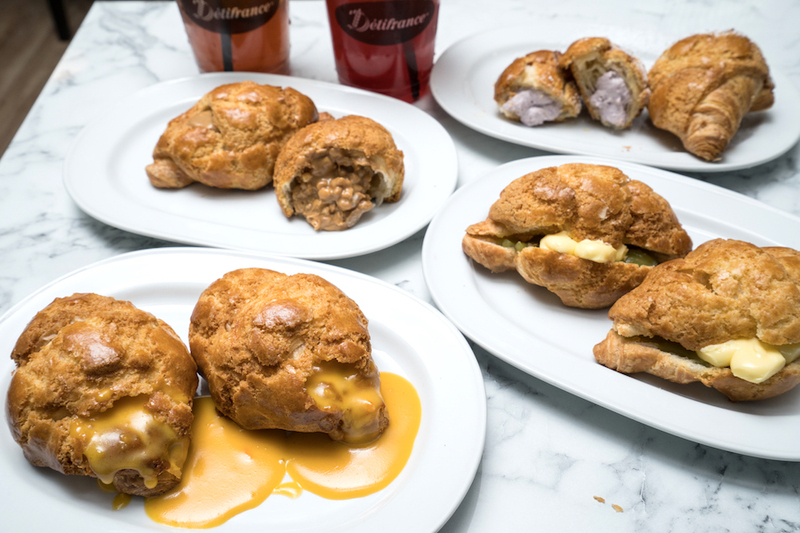 Délifrance Singapore has launched the first-ever oozy Bo Luo Croissant in Singapore, with 6 different flavours. 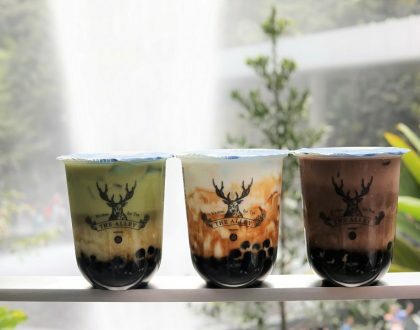 Think Salted Egg, Kaya & Butter, Crunchy Peanut, Hazelnut Praline, Sea Salt Dark Chocolate and Blueberry Cream Cheese. 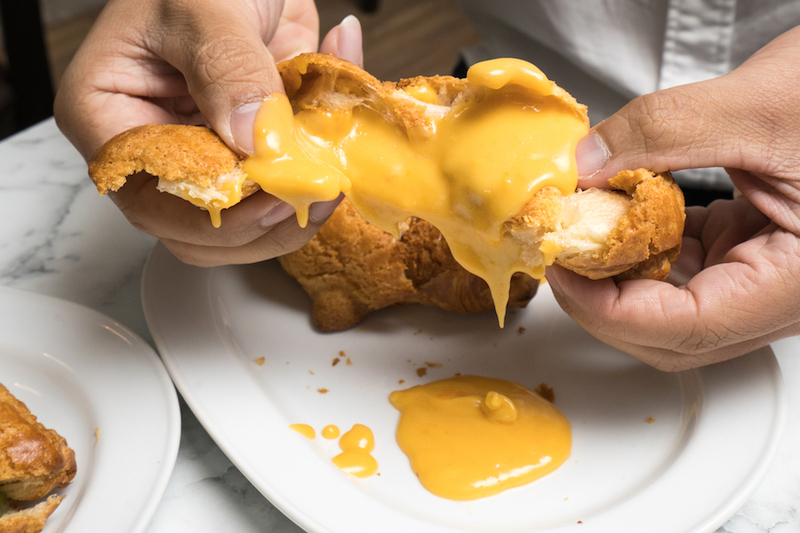 Bo Luo Buns are a classic pastry item from Hong Kong, after seen in their bakeries and cha chaan teng (cafes), characterised by the crispy topping and buttery aroma. While they are commonly called “pineapple buns”, there are actually no pineapples involved in the making process – it is because the crackling pattern on the top resembles the fruit. 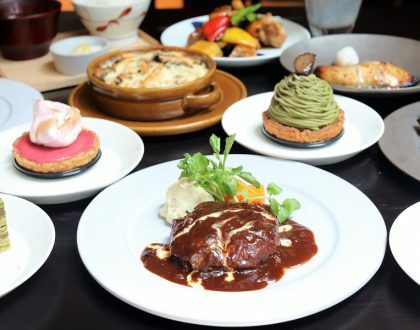 Each oozy Bo Luo Croissant is priced at $2.80 per piece, $7.40 for 3 pieces (U.P. $8.40) and $14.80 for 6 pieces (U.P. $16.80). The unanimous favourite among all of us, with a taste that is quite different from the Salted Egg Bursting Croissant introduced in 2016. 2 years had passed, and the salted egg craze continues. Made using French butter and French flour from France’s Grands Moulins De Paris flour miller, the croissant has a crispy and flaky exterior crust with a 27-layers honeycomb structure on the inside. 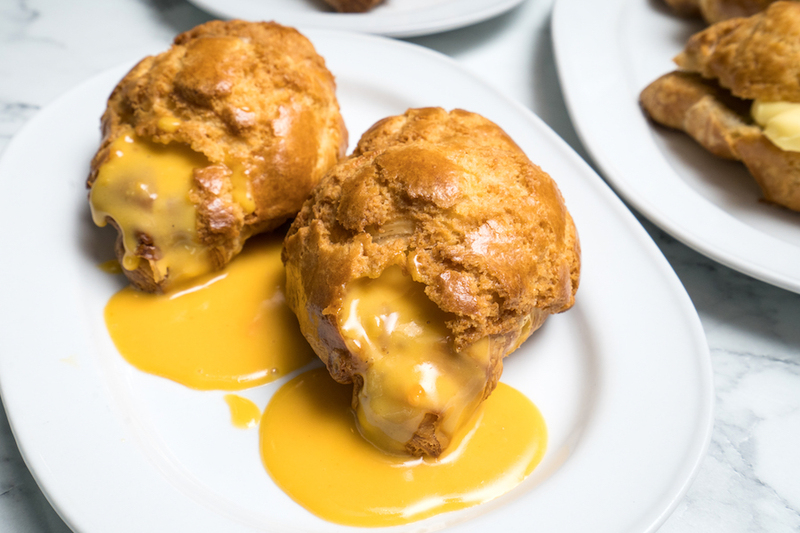 Topped with a golden, sweet and crunchy Bo Luo crust found in Hong Kong Bo Luo Buns, it complemented well with the grainy and flowy salted egg sauce within it, similar to Hong Kong Dim Sum – Liu Sha Bao. Check out the flow. No bluff. 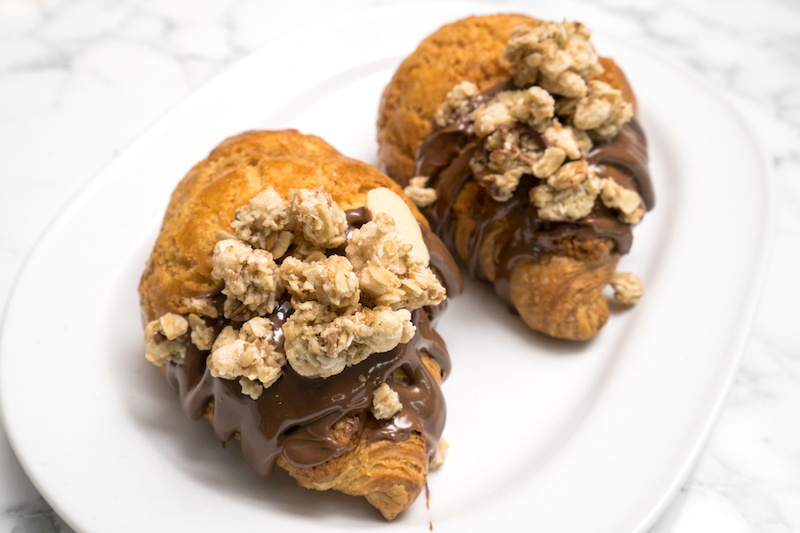 Drizzled with hazelnut sauce and sprinkled with almonds and granola on the outside for an additional crust, the Hazelnut Praline Bo Luo Croissant had this smooth, creamy filling with rich nutty taste. Overall, it has a pleasant sweet taste with a delicate hazelnut notes and toasted flavours. 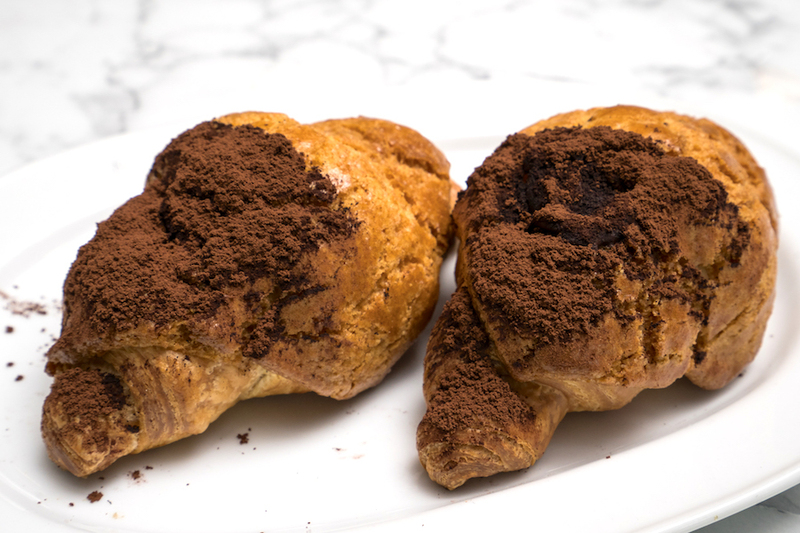 Between the Hazelnut Praline and this, the Sea Salt Dark Chocolate Bo Luo Croissant would come across as a richer version. Great for chocolate fans with its dark chocolate filling – with that slight bitter after-note and tinge of sea salt for extra savouriness. Kaya, butter and pastry, doesn’t this combination remind us of our national breakfast? 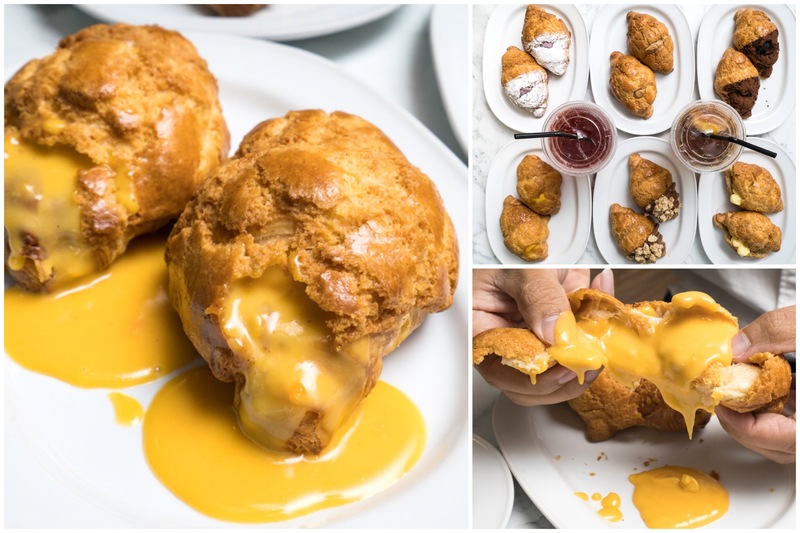 While the Kaya & Butter Bo Luo Croissant doesn’t have a oozy centre like the Salted Egg version, the familiar, sweet and flavourful fillings do sounds like a good substitute for breakfast. After it was heated up, the aroma of the melted butter and coconut-y kaya would be more enticing, best paired with a cup of espresso or latte. 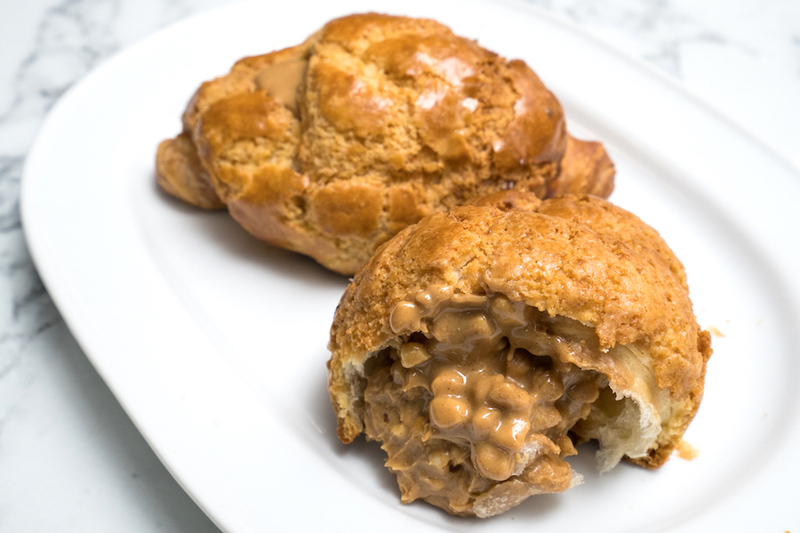 Fans of peanut butter will rejoice at this combination with generous amount of peanut butter and crushed peanuts within. This is what we would call “Peanut Gao Gao”. The Crunchy Peanuts Bo Luo Croissant packed a creamy peanut base added with crushed peanuts fillings for that added crunch. While some of the flavours seem more local skewed (such as the Kaya Butter, Crunchy Peanut and Salted Egg), the Blueberry Cream Cheese Bo Luo Croissant reminded me of a classic cheese cake. Good to know that the cream cheese fillings weremade with real citrusy blueberries. 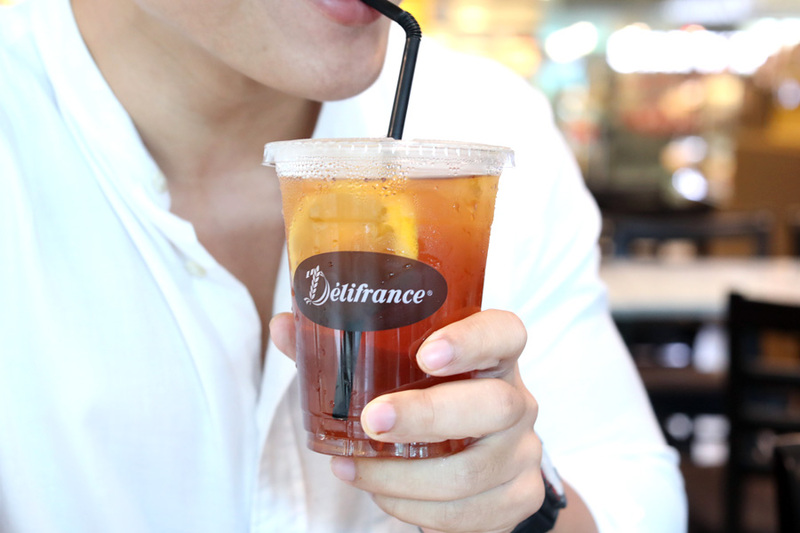 This Bo Luo Croissant can go well with a cup of hot or iced tea – such as their newly launched Iced Cucumber, Iced Peach, Iced Lemon or Iced Orange Blossom Tea, for a refreshing tea-time treat. * Written by Nicholas Tan @stormscape. 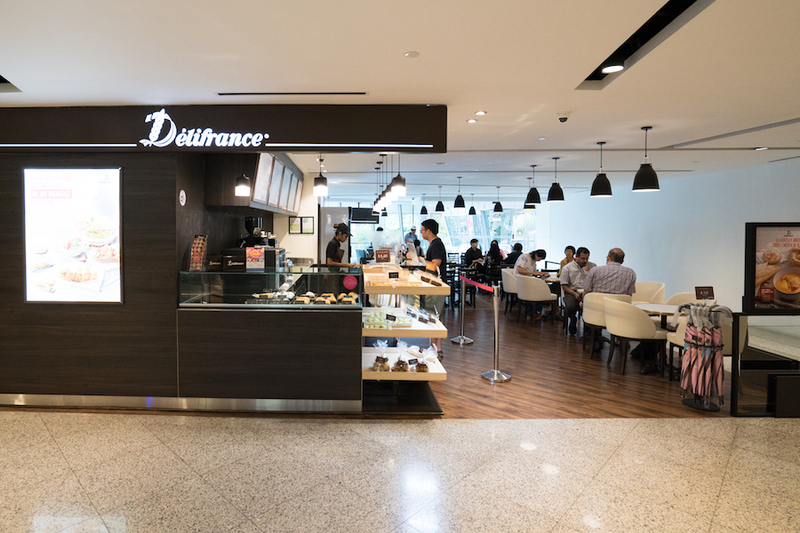 This post is brought to you in partnership with Délifrance Singapore.